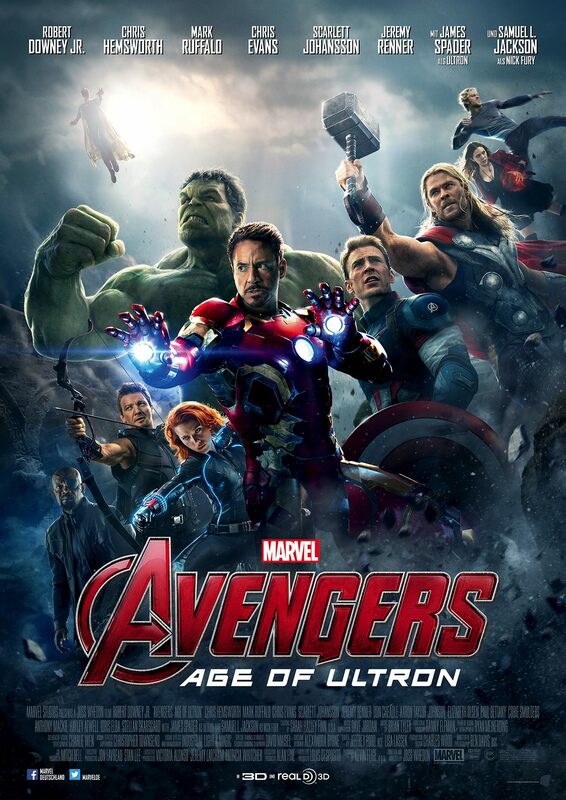 Avengers: Age of Ultron, where do I begin? I am a huge fan of Marvel and especially of the Marvel Cinematic Universe (MCU). I have been anxiously waiting for this film since I saw the first Avengers film and, while there were a couple thing I was a little ‘meh’ about, overall it far exceeded all expectations I had. In this next installment in the Marvel Cinematic Universe (MCU), what starts out as a simple mission turns into a fight for all of the earth and humanity. The Avengers have finally managed to track down Loki’s scepter, leading them to the Hydra base belonging to Baron von Strucker. While they are able to retrieve the scepter, they realize von Strucker has been using it to experiment on humans, namely, Pietro and Wanda Maximoff (Taylor-Johnson and Olsen respectively) aka Quicksilver and Scarlet Witch. The pair are soon recruited by Ultron (Spader), a robot designed by Tony (Downey Jr.) that was meant to protect the world, but instead became bent on destroying it. 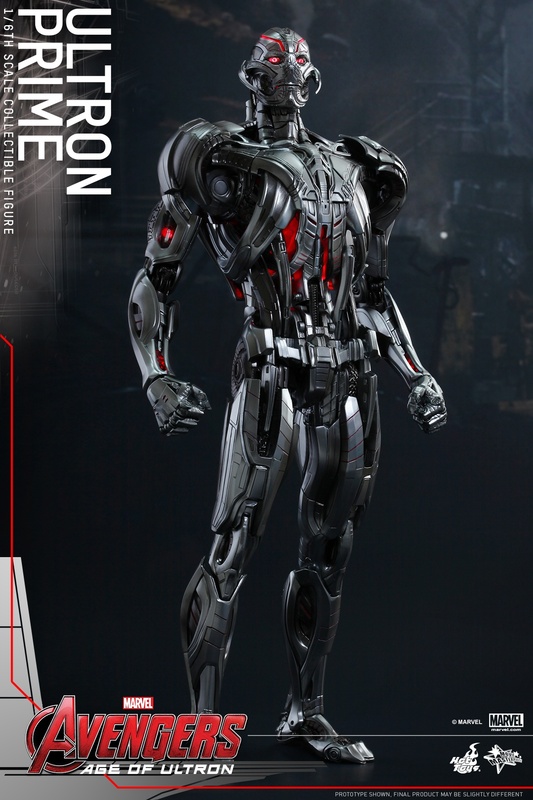 The Avengers must now find a way to defeat Ultron and his army of robots before he kills every human in the world. There were so many characters in this film! All the Avengers returned: Iron Man, Captain America, Hulk, Thor, Black Widow, and Hawkeye, as did many other characters from the MCU. Falcon, Rhodey, Peggy, Maria Hill, the computer guy from Captain America: The Winter Soldier, even Fury came back! I was half expecting Coulson to pop out somewhere. however, there were also many new characters. First and foremost is Ultron. 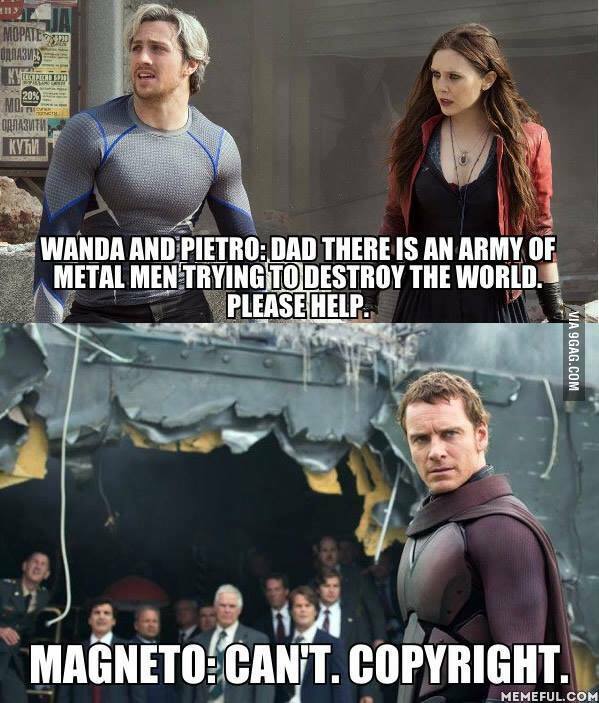 Ultron is pretty much the ultimate bad guy. Sometimes you sympathize with the antagonist or villain, like many people do with Loki. Some the antagonist is a victim masked as a villain, like Bucky. But in this case, nope, Ultron is just crazy. Literally from the moment he was ‘born’, he was like, “Death! Destruction! Kill all the humans!” James Spader, who did a phenomenal job in his role as Ultron, said Ultron is very much like a child and I have to say I agree. it’s like he’s throwing a tantrum, but instead of banging his fists on the ground he built an army of killer robots. I imagine this is actually what most toddlers would do if they had the mental capacity to do so. 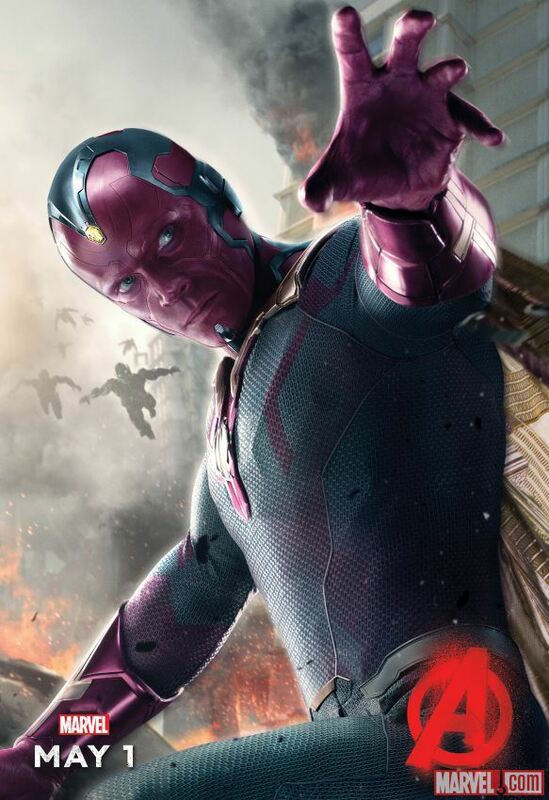 Another new character in this film is Vision. Though, I guess he’s only half new as Vision is played by Paul Bettany, the same actor who has been voicing JARVIS since the first Iron Man film. I was so excited when they announced Bettany would be playing Vision. He is a fantastic actor, but I must admit it’s a little strange hearing that voice now with a face to go with it. I imagine it was even stranger for Bettany to suddenly be right in the middle of the action with the other actors instead of recording in a studio for a short period of time. Andy Serkis had a small role playing Ulysses Klaue and again, hearing his regular voice and seeing his face was very strange after watching Lord of the Rings and Planet of the Apes. Linda Cardellini also appeared in the film playing Laura Barton, Hawkeye’s wife, but I’m going to talk more about that later. Finally, two characters who I didn’t expect to like as much I do, Pietro and Wanda Maximoff aka Quicksilver and Scarlet Witch. Now I’ll admit, going into this film I didn’t know too much about these characters except that they’re Magneto’s children (which is totally irrelevant in this film so basically I knew nothing), but they quickly became two of my favorites. Quicksilver and Scarlet Witch in this film are played by Aaron Taylor-Johnson and Elizabeth Olsen respectively. 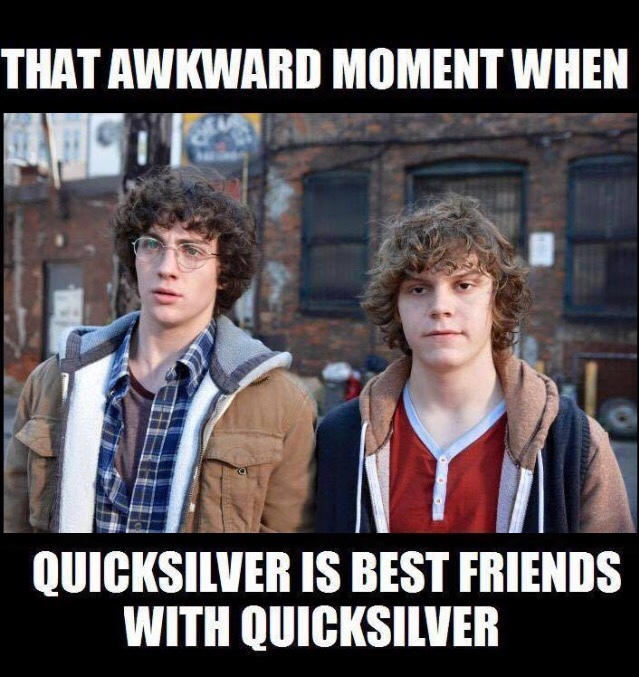 They have absolutely no connection to the X-Men films except for the fact that Taylor-Johnson and Evan Peters (Quicksilver, X-Men: Days of Future Past) were both in the film Kickass which I thought was pretty hilarious. I was a little confused by the lack of connection to X-Men because Quicksilver and Scarlet Witch are supposed to be mutants, but apparently that isn’t the case in this film. In this instance, the twins got their powers after HYDRA experimented on them using Loki’s scepter. Now, as someone who has not read the comics (though if anyone knows where I can read them online, please let me know! ), I wasn’t too bothered by this plot change. However, apparently a lot of people were very angry about this change. People were also angry about the fact that the twins were Eastern-European in this film, hailing from the fictional city of Sokovia. Again, I really wasn’t bothered by this. It was done to drawn a firm distinguishing line between the Avengers and X-Men so I really don’t think it was a big deal. Watch the video below to hear what Taylor-Johnson and Olsen had to say about mastering the Sokovian accent (1:17). Alright, the last thing I want to say about the twins is that they seemed very human to me. In a film full of superheroes and gods, I always like those little details they add in to make the characters seem like people instead of machines. That was especially pertinent in this film where they were battling machines. In AoU, there are several instances where we see Quicksilver getting tired or sweating. In other media, this isn’t something we usually see happen to him, but you would think it would, right? After running and running and running the guy would need a break eventually. As for Scarlet Witch, she’s always been displayed as being this huge badass, which she absolutely is. But we also got to see the other side of her. Regret and fear which are two very human emotions and really drove home for the audience that they weren’t bad guys and, even though they’re superheroes, they’re still people. So like I said, these two very quickly became two of my favorite characters in the film. Quicksilver had all of seven lines and yet here we are, with me rabbiting on about them for several paragraphs. I think it’s safe to say that I did not see this coming. I can’t wait for Captain America: Civil War so we can see more of Scarlet Witch and I really hope we eventually get to see more of Quicksilver (It’s the MCU, anything can happen). I know many people (myself included) are also hoping to one day maybe see a Quicksilver and Scarlet Witch film, but I feel like we’re about as likely to see that as we are to find out what happened in Budapest. Speaking of Budapest. Raise your hand if you thought they were hinting at a romance between Black Widow and Hawkeye? Whelp, apparently not. Instead we learn that Clint is married and has three children and Natasha and Bruce are dancing around each other. Now, before I get into this and cause a huge ship storm, I would just like to say that yes, I do ship characters regardless of what the official storyline in the films is. But that’s why fanfiction and tumblr and things like that exist so you can create things exactly the way you want them to be. I’m not taking sides here because frankly, Clint/Natasha is adorable, but so is Bruce/Natasha and Farmer Clint/Laura so I’m not taking one side or another. Just… something because I do really feel like they were hinting at Clint and Natasha being together. I mean, all the people who were up in arms over the sudden changes didn’t just get their crazy ideas from nowhere, right? But instead, Clint has a family and a farm out in the middle of nowhere. However! It’s really not a bad thing. 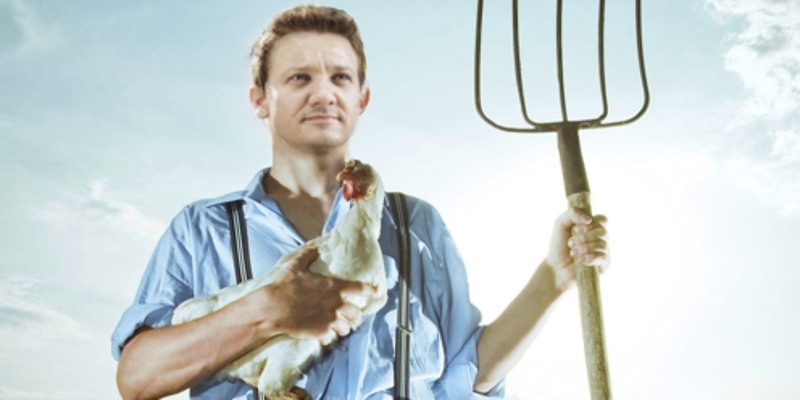 The idea of Hawkeye having chickens, wearing plaid, and riding a tractor is pretty hilarious and overall I actually really enjoyed this whole storyline. The writers must have known how much people were going to freak out over these new developments, but they jumped straight into it and I think it was success. Linda Cardellini did a great job and the kids were adorable. 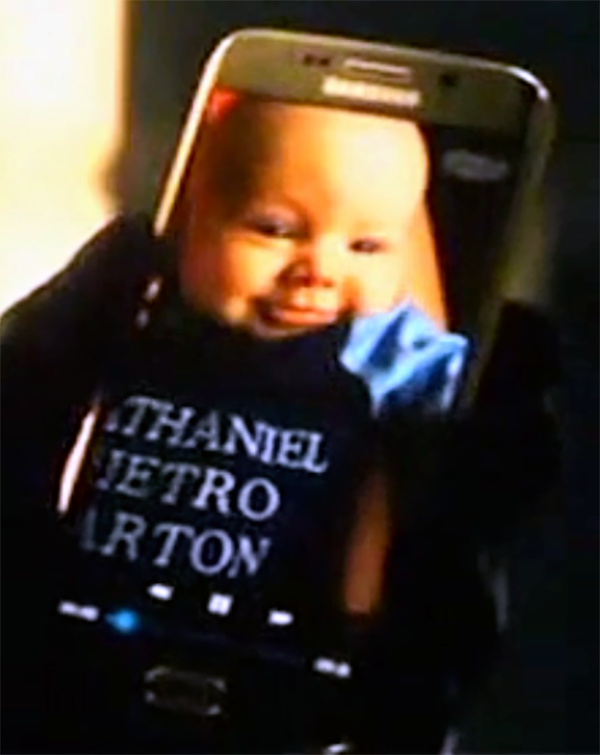 Hawkeye is in the new Captain America film so I hope we get to see more of his family (especially Nathaniel Pietro Barton because that was the cutest thing ever!). Like I said, I’m not too bothered about who’s with who. Shipping for me exists in the world of fanfiction and other parts of the internet. The only time I really focus on it is when it really doesn’t make sense. Which, for me, was the case with Bruce and Natasha. Or something like that. Two lines. Two very short lines just to let the people watching know that the pair were even talking! Their relationship just really seemed to come out of nowhere and I really think that’s why so many people were so hesitant and confused by it. And now, the last we saw of Bruce, he was leaving in one of the jets to go who-knows-where. I hope he’ll be back. 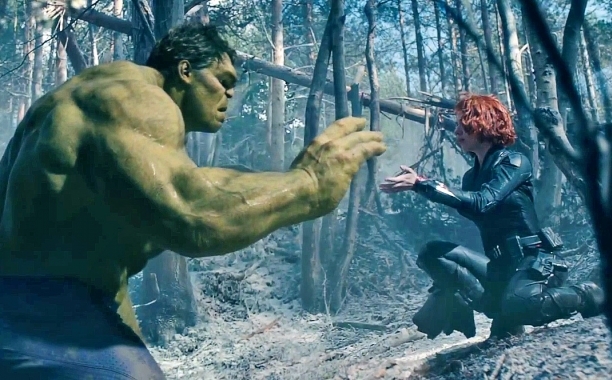 Mark Ruffalo always does a great job in the role of the giant, green rage monster and maybe if he comes back there’ll be more of an explanation and more context about BruceNat. Now, I know I just about Hawkeye, but can we just take a minute to acknowledge how amazing his character was in this film!? He actually had lines! I was so proud! He wasn’t someone’s puppet in this film and had a major story arc. Hawkeye was a hugely sarcastic and vital part of this film and I think Jeremy Renner did a spectacular job. Alright! I’ve gone on and on and about the characters in this film, but what about all the other stuff? It would be a pretty boring film if we saw Iron Man and the Hulk battling in front a green screen. Actually, I guess without the special effects it would be Iron Man .vs. Bruce Banner in a leotard with dots all over his face. Yeah… real ferocious. It would also be incredibly boring to see Thor fighting without his hammer or Captain America with his shield. Like, these movies would not exist in the capacity that they do without the special effects, props, and costume/make-up departments. The special effects department always has quite the job on these films and AoU was no exception. Obviously the cast and crew didn’t go around destroying buildings and practically leveling cities. But it sure looked like they did. I always love thinking how those things must look to the younger audience members. Sokovia flying in the sky looked amazing and so real. I obviously know it’s not and that it didn’t happen. But the kids in the audience? They believe the city was flying and I think that’s a pretty magical thing that the SE people manage to do. Elizabeth Olsen stated that there was quite a trust thing going on between her and the department as she obviously didn’t have red magic balls of energy flying out of her hands so essentially she had to just wave her arms around and hope they would be able to do something with that. It worked. The costume and make-up department also had even more work to do with this film with more characters and more things happening. Between prosthetics, turning Paul Bettany red, and all the variations of costumes that had to be designed for each character. I guess they were kind of lucky that Quicksilver and Scarlet Witch’s outfits are so simple, but then you add Vision and Ultron to the mix and I’m sure it was pretty evenly balanced. Finally, the props people. Cap wouldn’t have a shield, Thor wouldn’t have a hammer, Hawkeye wouldn’t have a bow, and Tony wouldn’t have any of his little gadgets if it weren’t for these people. They really go above and beyond, creating so many variations of each prop. The different versions of Thor’s hammer all varied in weight, they had to make Cap’s shield looking different levels of battle worn. It really never ends. You can watch the video below to get a behind-the-scenes look at the props department on set. Okay, the last thing I want to talk about is the extraordinary amount of sass and sarcasm in this film. I always expect there to be some, it is a Marvel film after all. But AoU was just jam-packed with one liners and a level of sass I never expected. From Hawkeye especially! I mean, “The city is flying, we’re fighting an army of robots, and I have a bow and arrow” has to be one of the best lines in the film. That, “You didn’t see that coming?”, “Not when I’ve created a murderbot.”, and “Language.” are just a few of the lines I can think of off the top of my head. Seriously, this film’s script is sarcasm gold. Well done Joss Whedon. While there were a couple things in this film I was a little iffy about, overall I absolutely loved it. Age of Ultron, like the other films in the MCU, is one of those movies that I will watch over and over and over again. It’s probably one of my favorite Marvel films to date and has me even more exited for Captain America: Civil War next year! 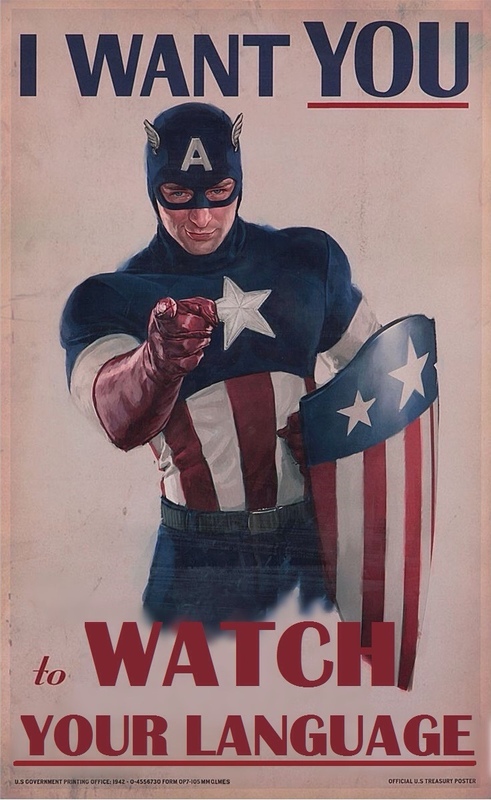 Have you seen Age of Ultron? What did you think?